An ongoing study reports that property taxes on commercial and industrial property in Wichita are high. In particular, taxes on commercial property in Wichita are among the highest in the nation. 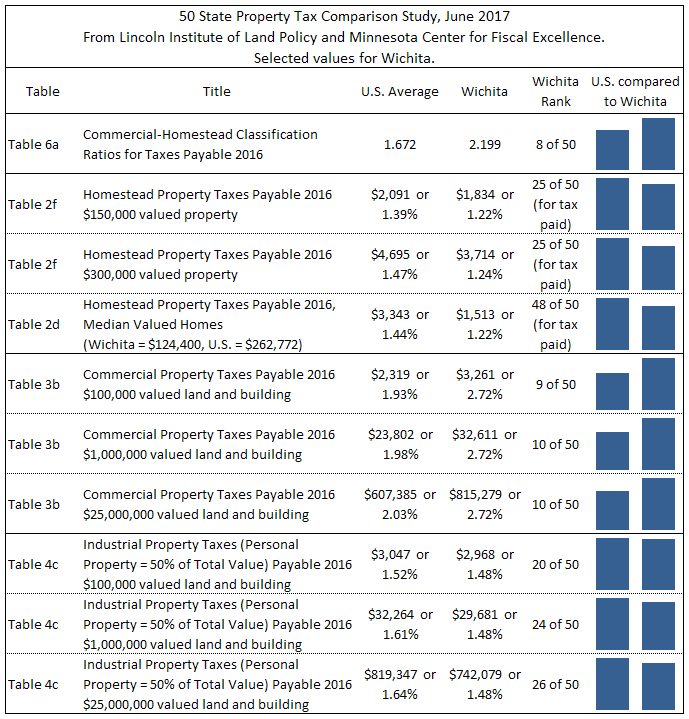 The study is produced by Lincoln Institute of Land Policy and Minnesota Center for Fiscal Excellence. It’s titled “50 State Property Tax Comparison Study, June 2017” and may be read here. 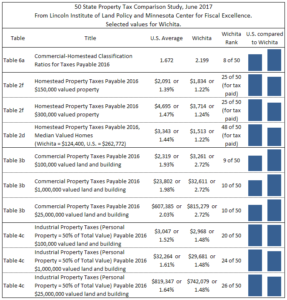 It uses a variety of residential, apartment, commercial, and industrial property scenarios to analyze the nature of property taxation across the country. I’ve gathered data from selected tables for Wichita. This means that commercial property faces 2.18 times the property tax rate as residential property. The U.S. average is 1.67. Whether higher assessment ratios on commercial property as compared to residential property is desirable public policy is a subject for debate. But because Wichita’s ratio is high, it leads to high property taxes on commercial property. For residential property taxes, Wichita ranks below the national average. For a property valued at $150,000, the effective property tax rate in Wichita is 1.22 percent, while the national average is 1.39 percent. The results for a $300,000 property were similar. Looking at commercial property, Wichita taxes are high. 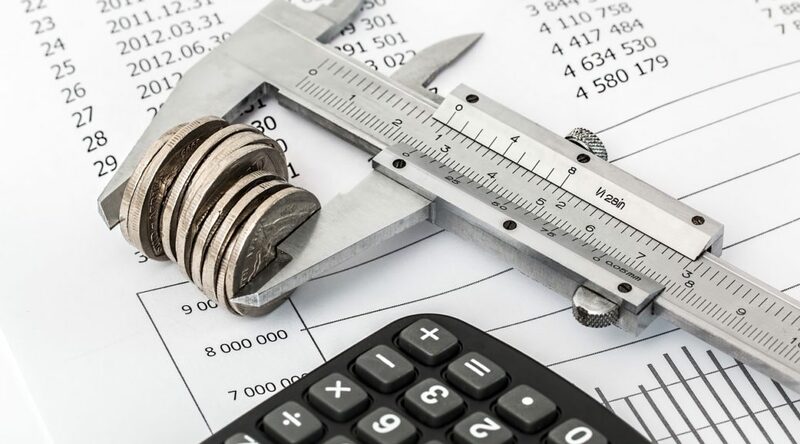 For example, for a $100,000 valued property, the study found that the national average for property tax is $2,319 or 1.93 percent of the property value. For Wichita the corresponding values are $3,261 or 2.72 percent, ranking ninth highest among the 50 largest cities. Wichita property taxes are 41 percent higher than the national average, for this scenario. For industrial property taxes, the situation in Wichita is better, with Wichita ranking near the middle of the 50 largest cities. For an industrial property worth $1,000,000, taxes in Wichita are $29,681. The national average is $32,264.